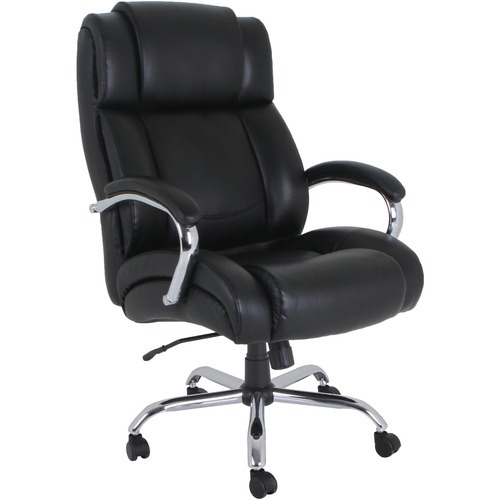 Big & Tall Chair features bonded leather upholstery, a 500 lb. weight capacity and UltraCoil comfort with coiled comfort springs. 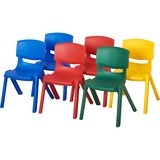 This advanced foam-layering system is designed to offer deliberate, unique and zone-based support for a more enjoyable seating experience. 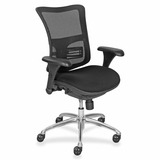 Functions to customize position include pneumatic seat-height adjustment (3-1/2" from 19-7/8" to 23-5/8"), 360-degree swivel, tilt and tilt tension. Fixed, chromed metal arms feature upholstered pads. 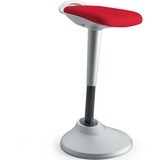 The 29" chromed metal base is equipped with 2" heavy-duty nylon, hooded, dual-wheel casters. Seat measures 23-5/8" wide x 20" deep. Back size is 24-2/5" wide x 25-3/4" high.